Electric motors are one of the most common electrical machines that can be found in a wide range of electronic devices. You will find several items in the home which contain motors in it, such as fans, grinders, mixer, moving toys, and vacuum cleaners. Electric motors are the electrical machines that work on electricity to produce mechanical power. Mechanical power can be used to rotate the fans or move an electric car etc. Electrical motors come is many voltage and power ratings, for example, 120 volts, 220 volts, and 12 volts. They need to be supplied with their rated voltage to ensure the smooth operation and avoid damages. The basic principle behind the working of an electric motor is the action of electromagnetic forces. When a wire carries an electric current and is placed in a magnetic field (e.g. near a magnet), it feels a force that pushes it in a certain direction – depending on the orientation of wire and magnetic poles. The body of a motor is made of two main parts; static part and rotating part. The static part contains a permanent magnetic or an electromagnetic for producing the magnetic field. Whereas, the rotating part is coiled with insulated copper wire. When electric current moves through the copper wire in the rotating part, the electromagnetic forces between the static part and the rotating part comes into action and cause the rotating part to rotate and generate mechanical power. This is the simplest definition of how a motor works, but for a detailed understanding of their working go to: https://www.explainthatstuff.com/electricmotors.html. There are two broad categories of electric motors that rely on different type of currents to power themselves. These two categories are DC motors and AC motors. 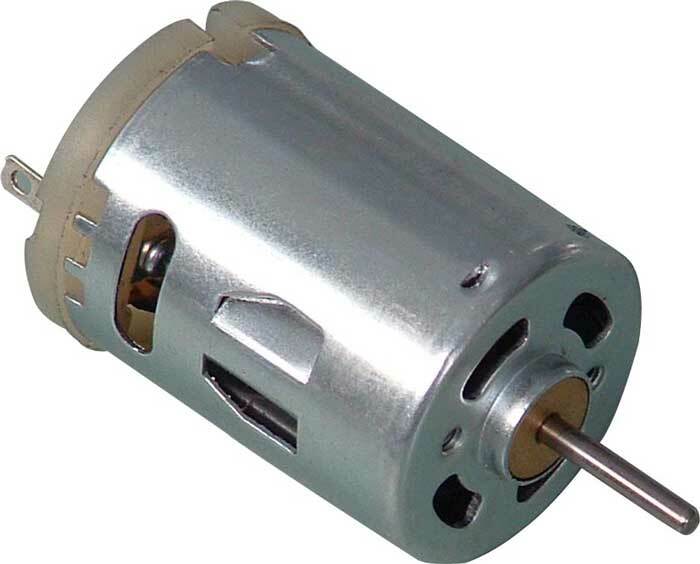 AC Motors – These motors work on alternating current (AC) for performing their job. AC current is different from DC because it flows in two way – changes direction with a certain frequency in Hertz. AC motors don’t use permanent magnets in their static part, but use coils of wire for producing a magnetic field. 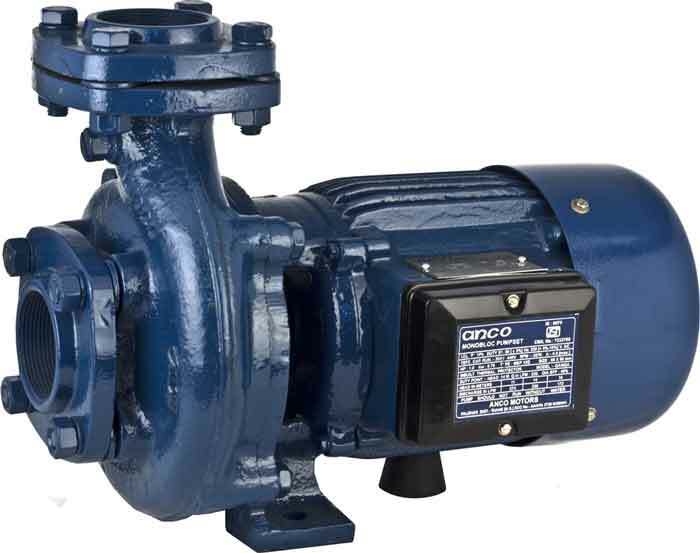 AC motors are mostly used for heavy-duty tasks in factories and homes (e.g. for pumping water). Electricity is the most economical way of transferring energy to very large distances on wires. But we can’t use electricity directly to do our work, such as pumping water which requires mechanical energy. We need a way to produce mechanical energy from electricity to perform mechanical work. For this, we use electric motors that takes electricity at their input and gives mechanical power at the output. Electric Cars – These cars work on electricity which is mostly obtained from batteries in cars. They get mechanical power from electric motors instead of combustion engines. Industries – There are various processes in all kinds of industries in which we require mechanical power from electric motors, such as mixing, lifting, and pulling, etc. Electric Toys – Toys that perform some kind of movements require electric motors. Household – We rely on many electrical appliances to live comfortable that requires electric motors, such as air conditioner, electric fans, vacuum cleaner, water pump, grinder, and mixer, etc. Electric generators operate opposite to that electric motor; they produce electricity when their rotating part is turned by an engine. Theoretically, if you turn the rotating part of an electric motor, you will generate the same amount of electricity that the motor consumes to operate on that speed. Michael Faraday and Henry Joseph were the first to make the motion with electric current. 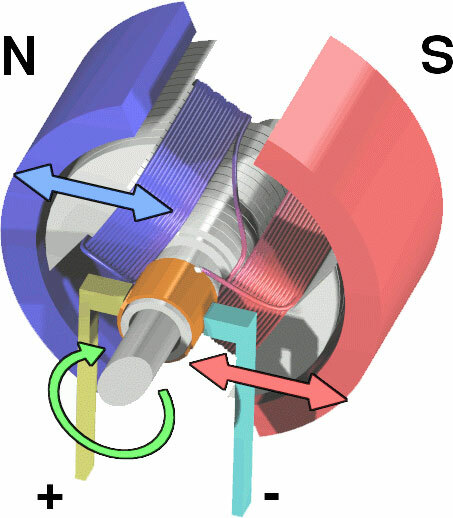 Abdul Wahab, "Electric Motor," in Science4Fun, April 12, 2019, http://science4fun.info/electric-motor/.